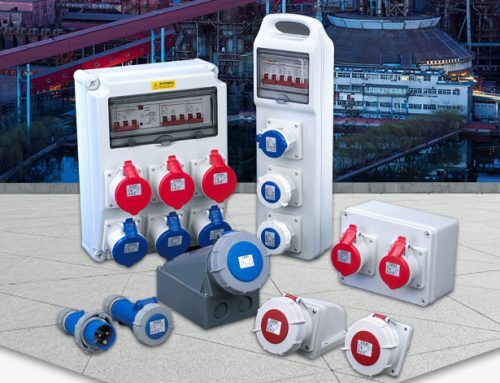 The industrial sockets are designed to be used in many environments according to the application where the industrial socket is needed. 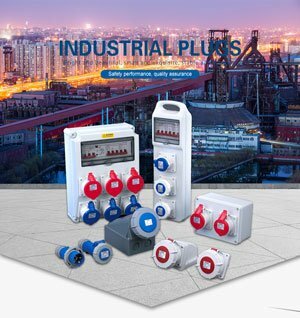 The secure reason is one of the top priorities when you choose an industrial socket. Especially when the products are used in the place of heavy dust and wet. A waterproof industrial socket is invented driven by this requirement. Not all the industrial sockets are waterproof. No matter which manufacturer produces it, they have the waterproof socket something in common. 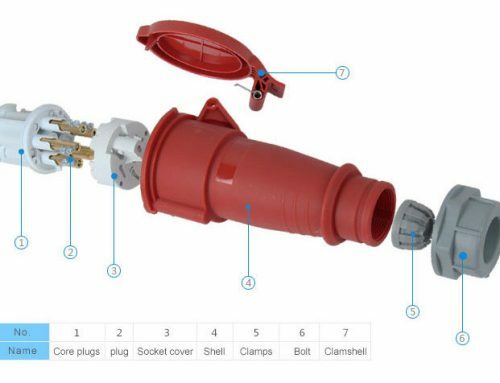 The housing material: for a water-resistant industrial socket, the shell is made by PP (polypropylene) / PA (Nylon, Polyamide). These material have good stability to water. Besides, they have a wide temperature range tolerance from -40℃ to 90℃. The inner parts: almost all the plastic inner parts are made by flameproof PA material. Actually, for a waterproof industrial socket, it is also a flameproof product. 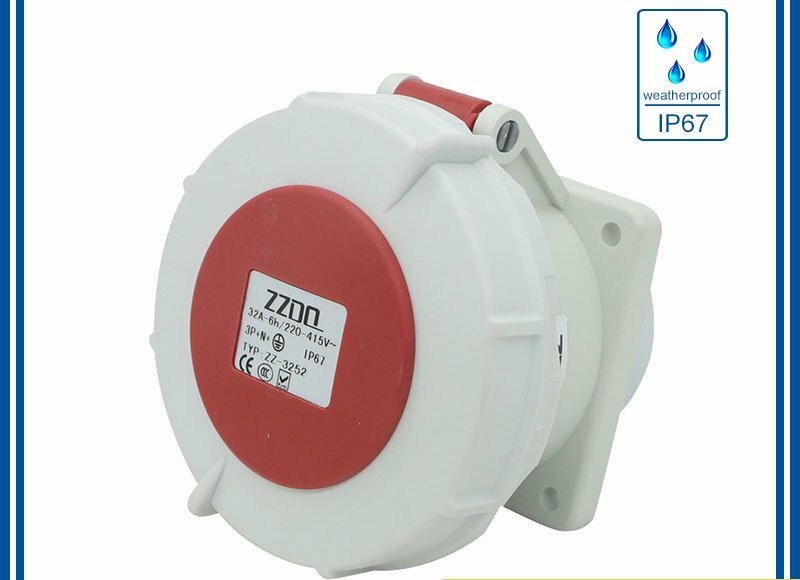 For a waterproof industrial socket, you will find one of these marks on the shell IP44, IP55, or IP67. What is that? These marks are called IP degree, an abbreviation for Ingress Protection rating. The IP degree is recommended by IEC. It has as many as 9 categories of protection rating, using for defining how an electric device is water and dust resistant. In different application environments, the rating level will be different. The correct writing of a IP degree is IPXX, take IP67 for exmpale. The first number “6” refers to the dust protection rating. From IEC (cee), there are 7 categories to describe dustproof rating. They are numbers from 0 to 6. The 6 is the highest rating, meaning that the dust is completely prevented from entering into the device. The second number “7” refers to the water resistance capability. Similar to the dustproof grades, there are 9 waterproof degrees, showing with numbers from 0 to 8. 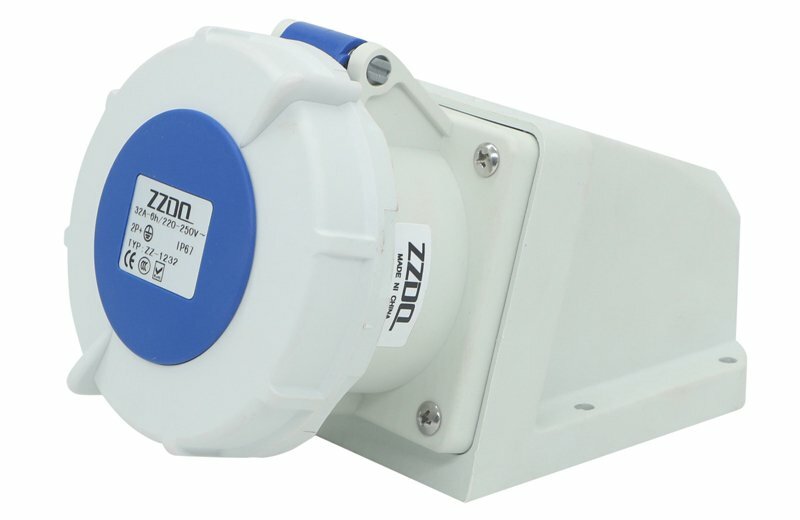 The 7 is the second highest protection rating, meaning that the socket can still work safe when it is underwater (no deeper than 1 meter) in a short time. Forthe waterproof industrial socket, there are 3 grades which are the most commonly seen: IP44, IP55, IP67. The IP44 industrial socket is capable of preventing particles whose size is larger than 1mm getting into the device while keeping itself safe when liquid splashes onto the surface from any directions. The IP55 industrial socket is capable of preventing harmful dust piling damage the device which keeping itself safe under water flushing. The IP67 industrial socket is capable of complete preventing any dust getting into the device while keeping itself safe under water (no deeper than 1 meter) in a short time. 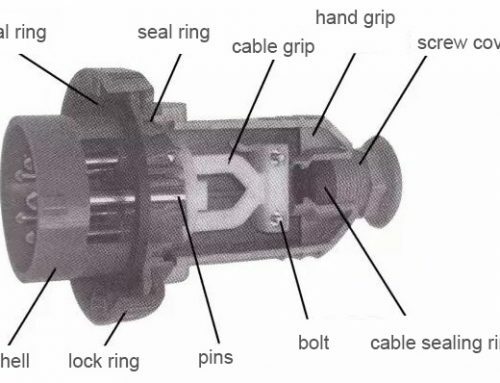 In a waterproof industrial socket, several sealing rings are used to produce a pre-tightened sealing. 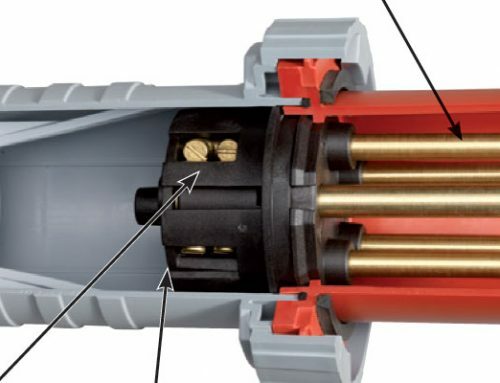 By using this design, no water molecule can penetrate the socket under normal pressure. Even in the heat expansion and cold contraction, the pre-tightened force won’t lost.